Taking the Batumi architecture to the next level, the Aquapark Batumi is a masterpiece! Designed in 2010, the Aquapark Batumi won several accolades to Henning Larsen Architects, including the 1st Prize in Invited Competition! Sprawling across a whopping 21528 square feet, the aquarium is a striking pebble-shaped one, that will entice you explore it. Housing four independent exhibition areas, each depicting one of the global water bodies-the Aegean Sea & the Mediterranean Sea, the Indian Ocean, the Black Sea & the Red Sea. Inside the aquarium, there is a café, auditorium and a few retail opportunities too. All this against a backdrop of the gorgeous beach and the magnificent Black Sea make for a superb attraction! Buses to university bus stop and 30 Rustaveli Avenue. 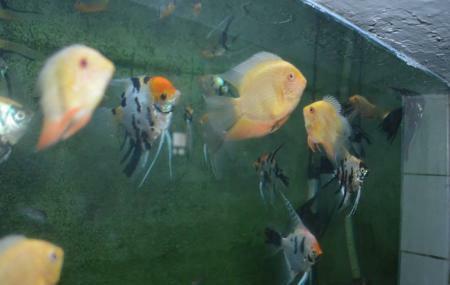 How popular is Batumi Aquarium? People normally club together Casino Peace and Tbc Gallery while planning their visit to Batumi Aquarium. A very impressive show! Dolphins are super smart and cute and although I dont like animal shows, in this case the trainers seem to really care for the dolphins and none of it looks forced. Old aquarium with some additional private aquaria. I would expect from a Soviet era.